Today I’m sitting down to review the new Hifiman Ananda, taking a break from my usual regimen of trolling Bose fanboys online, or sending NSFW emails to John Grado. The Ananda has already garnered some attention online, something I chalk up to Hifiman’s continuously growing reputation for audiophile sound. 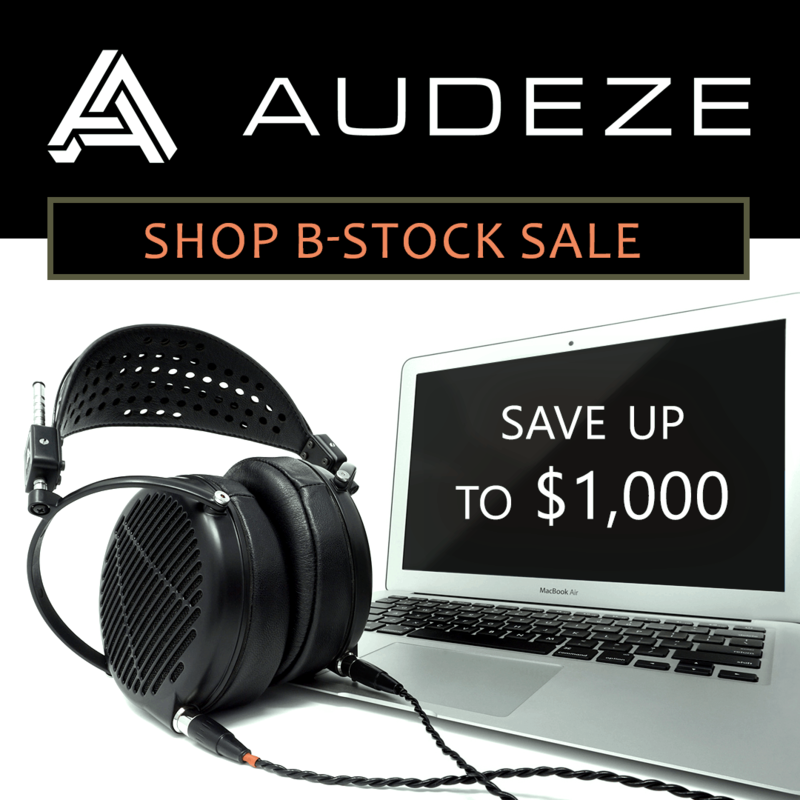 But at $999, the Ananda seems perfectly poised to succeed the now-discontinued HE-560 – an older reference-sounding headphone with cult-like following. How good does the Ananda sound, though? And is it the right headphone for you? The Hifiman Ananda comes in a pretty posh box like other top-of-the-line Hifiman headphones. Inside that box, you’ll find the headphones and a removable cable, as well as a smattering of literature. Following design cues from the Hifiman Edition X and HE1000, the Ananda features a plastic and aluminum yoke and headband, but offers classic Hifiman grills that arrest the gaze of even the snootiest audiophiles. While utilizing the usual Hifiman planar magnetic drivers, the Ananda debuts a new interchangeable cable. Still sporting the same 3.5 mm dual-entry connection to the headphone, the cable seems lighter and thus a little cheaper than its predecessors. However, this cable also seems to kink up a lot less, leading to better longevity – especially for those who treat their cables a little roughly. The specs reveal a headphone that offers a very wide frequency response, as well as a low nominal impedance. Despite this rating, I still found the use of an amplifier crucial, though the Ananda did seem to pair quite well with mobile amplifiers like the Dragonfly Red or my FiiO Q5. Lastly, sound pressure is a decent 103 decibels, so achieving adequate volume in most situations shouldn’t be a concern. Natural if a bit relaxed, this low end isn’t the kind of energetic, driving sound you would expect from the makers of the Edition X. Yet, this low end still harbors a ton of detail, with good fidelity recommending it to any critical application. Bass lands with some impact, but never seems too crazy or uncontrolled. Present but not too forward, and at times seemingly melding with the natural warmth of the low end, the Ananda’s midrange remains detailed and clean. Indeed, almost immaculate in terms of its fidelity, the sound here easily recalls the venerable character of the now-discontinued HE560. The Hifiman Ananda houses a curious high end. Bright at times, the overall impression here is one of rolled-off highs – an impression that seems at odds with the stated frequency range of these cans. Of course, a good deal of that frequency range has to fall outside the range of normal human hearing; and yet, even in my test tracks, where other, brighter headphones might screech on violin strings, the Ananda seems a bit smoother. Honestly, though, as much as this might sound like a negative, I actually prefer the rolled off character. Because the high end doesn’t skimp on details, the sound – while resolving – remains neutral and still forgiving of more intense high end action. Delicate and refined, the soundstage on the Ananda offers masterfully-executed placement and depth. Closing my eyes, the space around me seems spangled with detail, as each instrument calls out. Everything is fine, precise, and I daresay perfect. For lovers of soundstage, the headroom here lands nothing short of amazing, with the Ananda quenching any audiophile’s lust for three-dimensional music. The sheer level of detail and musicality present in such a neutral sound signature does much to recommend the Ananda – and not only to those who prefer a relatively reference-oriented headphone. Fans of spacial sound and depth, as well as those looking for a relatively even-keeled listening response will swoon before the Ananda’s charms. Wearing the Ananda can appear a bit taxing at first; unlike higher-end Hifiman models like the Edition X or the HE1000, the Ananda seems stiffer in comparison. Though my giant ears could fit inside the cups with ease, the Ananda’s cups still seemed a bit too large. Despite feeling cheap, the removable cable still seems of high quality. As a replacement to older Hifiman designs, though, this cable seems less likely to kink or tangle, and that can only be better for the actual wiring inside. Fans of bass would do well to consider the Edition X V2. Though a bit pricier at $1299, this headphone will deliver more emphasis in the low end and a punchier sense of bass. Those seeking the utmost in performance for Hifiman may also want to skip this model, aiming instead for the impressive HE1000 V2, or the much-lauded Susvara (if you’re a member of the landed gentry, or have access to a similar level of scratch). For a neutral, spacious sound, though, there are few contenders at this price. The nearest competitor with this kind of sound might be a flagship Grado or the expensive Audeze LCD-3, though neither will remain quite as neutral as the Ananda. At $999, Hifiman again bats it out of the park with the Ananda. Characterized by a clean, neutral sound, there’s a ton of space and depth to this stylish headphone. For seasoned audiophiles and newcomers alike, the Ananda offers a stunning option that cannot fail to please.